VISALIA – Probation was a mere suggestion for one local man. 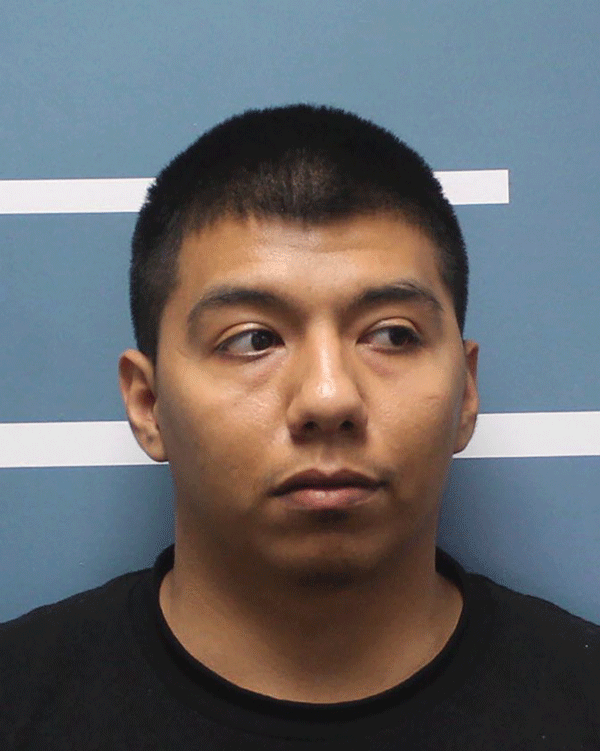 Javier Guerrero-Viveros, 21, couldn’t even be bothered to obey traffic laws while he was driving around with guns and drugs. At 4:27 p.m. on March 15, an officer with the Visalia Police Department’s Special Enforcement Unit Guerrero-Viveros’ vehicle for a traffic violation. After contacting the driver, the officer discovered he was on probation. A search of his vehicle revealed he had over $2,500 in cash, marijuana, concentrated cannabis, and scales. He was detained and taken back to the 1500 block of South Central for a probation search of his residence. Officers discovered a 9mm handgun, a few more pounds of marijuana, several hundred cannabis cartridges, more sales indicia, and an additional $3,000 in cash were located. Guerrero was arrested for several charges including felon in possession of a firearm and charges related to marijuana sales. He was booked at the Tulare County Jail. At 7 a.m. in the 1200 block of South Garden, the narcotics and gang units served a search warrant at a residence. During the search, officers located and seized 33 grams of methamphetamine, two rifles, ammunition, two scales, two surveillance cameras and other indicia indicative of sales of narcotics. Nikolas Paul Lauricella, 37, was arrested for possession of methamphetamine for sales, possession of methamphetamine, possession of drug paraphernalia, felon in possession of firearms and ammunition. Marquita Shina Harris, 36, was arrested on a no bail warrant for forgery and violation of probation. Both booked into the Tulare County Pre-Trial Facility. At 4:48 p.m. at the Seven Seas restaurant, 907 N. Court St., officers responded to a call regarding a suspicious circumstances. Officers arrived and learned an unknown person fired a single shot from an unknown type firearm through one of the windows of the restaurant. The bullet struck an interior wall, but caused no injuries. Anyone with information on this incident is asked to contact the Violent Crimes Unit at 559-713-4921. At 12:03 a.m. in the area of North McAuliff Street and East Oak Avenue, an officer conducted a traffic stop for a moving violation. During the stop the officer learned that the driver, 37-year-old Danny Diaz of Exeter, was currently on active county probation for narcotics sales. During a search of the vehicle officers located one pound of presumptive methamphetamine. Diaz was taken into custody without incident. A second subject was cited and released at the scene for an active arrest warrant out of San Bernardino County. Diaz was booked at the Tulare County Adult Pre-trial Facility for possession of narcotics for sales, and transportation for sales.